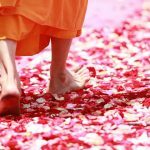 What to expect from regression therapy? 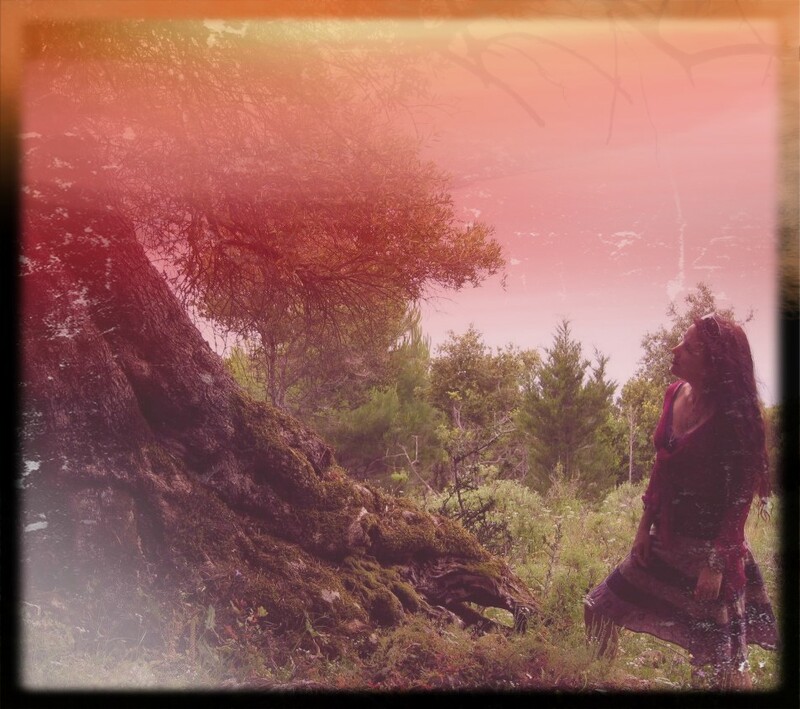 “A journey through haunted forests, through dreams and time. A story of love, magic and the power of forgiveness. A Tzanatzi outcast and an Einache shaman are on the trail of an ancient curse. When Rom, a young man shunned for his Tzanatzi ancestry, crosses paths with Yldich, an Einache Shaman, they embark on a journey which will change their lives and that of their people forever. Yldich believes that Rom can free the Einache people from a curse that has been brewing for five-hundred years. A dark force is already rising in the North, while in the South power-hungry nobles will stop at nothing to get what they want. Yet Rom has no clue to who he really is, and will have to grow up fast if he is to fulfil Yldich’s prophecy. Together with Eald, a lively little Einache boy Rom and Yldich travel north through Gardeth Forest, where the veil between this world and the underworld grows thinner each day, and the army of the Southern King is closing in. Embattled on all sides, but with the loving guidance of Yldich and his spirited daughter Maetis, Rom must face his own past and that of his people to heal the wounds inflicted by centuries of persecution and hatred. But sometimes uncovering buried secrets comes at a price. Will Rom be able to accept his true self and regain his power in time for the final battle? Read it in Curse of the Tahiéra. This story has haunted me for a long time. But when I finally began writing it, I had no idea it was a true story. The journey of my soul. I just wanted to write a compelling spiritual adventure. There were signs, though that this was going to be no ordinary book. I was amazed at how easily inspiration came to me. I did not have to think about the storyline, the characters: they came to me of their own accord and began telling me their stories. I only had to write them down. They even had lives of their own and began manifesting outside of the book. A talented aura reader noted they all had their distinctive energy and aura. Yldich, the ancient shaman even made an appearance at one of her healing workshops! But the most surprising revelation came only after the book was published – the realisation I had not written a fantasy novel at all. When more and more people began recognizing themselves in the book, knowing the characters as if they were their own, it began to dawn on me. Even though I was an experienced past life therapist I had been blind to this simple fact: I had written the story of my own past lives and that of my soul famliy. The story still continues. I wonder wonder where it will end… Curse of the Tahiéra won three awards for small press / independent authors in the U.S.
Read the first 25 pages of the book in pdf format. think it’s a beautiful story: the storylines, the characters, and above all how the story is carried by deep spiritual understanding. 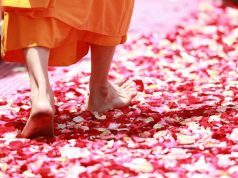 The workings of karma, love, compassion…it’s a tale of healing. There is so much warmth and wisdom in the book! 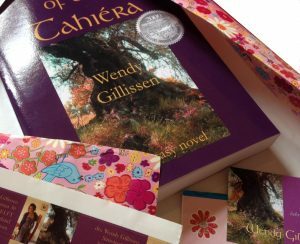 Author Wendy Gillissen’s spiritual adventure ‘Curse of the Tahiera’ succeeds on so many levels; her characters have personality, depth and personal history, the fantasy environment is vibrant, detailed and filled with mythic wonder and the storyline is absorbing and well paced from beginning to end. Plain and simple it’s one of the most enjoyable fantasy books I’ve read in a long, long time. However my highest praise for Ms. Gillissen’s book is reserved for the deep, profound spirituality oozing from her written words; her understanding of the nature of dreams, her innate knowledge of the unseen but sometimes felt lifeforce emanating from the world (or worlds?) around us and the way in which she reveals the spiritual underpinnings and karmic destiny that ultimately determine who and what we are. 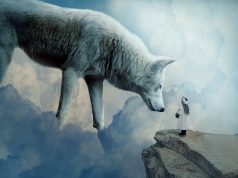 Many writers have attempted to wed their own personal spiritual paradigm with literary fiction and generally the results are less than satisfying. Either the ‘message’ overpowers the story to such a degree that the fiction is delivered flat and contrived, or the author is forced to compromise the ‘message’ for the sake of the tale and the readers entertainment. In both cases both the author and the reading audience are left unsatisfied and wanting. In the case of ‘Curse of the Tahiera’ both of these pitfalls have been successfully and masterfully avoided! If you’re looking for nothing more than pure fantasy entertainment this is the book for you. On the other hand if you’re looking for a generous dose of spiritual insight that will help guide you in answering some of those inner nagging questions and doubts we all carry with us this is also the book for you. Now if you’re looking for both, this must be your lucky day! Though much of it takes place in a physical world of forests and stones, the real story of Gillissen’s protagonists, Rom, Yldich, and Eald who journey through enchanted lands northward, is one of kinship and illusion as they struggle to save their people from the destructive power of an entity known as the Tahiéra. Gillissen uses dreams the way that an artist might use watercolors to paint a vivid portrait. Her expressions are at once clear and beautiful as they are abstract and distant, eventually culminating in an ending revelation that is unforeseeable (unless, of course, you’ve “dreamwalked” through the story already). Rom is haunted by “énthemae” dreams, or dreams of his past which reveal a power in him to confront the Tahiéra. As he learns these things throughout his journey, he becomes acquainted with “ayúrdimae” dreaming, or “dreamwalking”. “Curse of the Tahiéra” is full of mystical enchantments and riveting adventures, but it’s these particular facets which make it different from most other fantasy novels. Gillissen creates a dream world within a dream world; worlds inside of other worlds which are constantly in motion. It might seem complicated, but Gillissen handles them all like a well trained juggler, and the show is spectacular. “Curse of the Tahiéra” achieves on nearly every level of excitement and entertainment that the genre of fantasy prescribes. It’s enlightening in its connection with real world values of love, honor, and camaraderie and on top of that, its great entertainment. 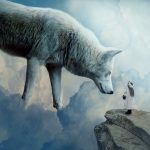 Gillissen’s take on pixies, beasts, and other common fantasy figures is unique and revitalizing. Fantasy novels are all about the journey, and Gillissen is able to weave several into a single amazing voyage that is captivating from beginning to end. I will admit that I was a little hesitant to begin this novel. Over the years I have come across too many unoriginal, formula-written fantasy clones that are apparently published out of pure ego or to make a buck. Now let me state that this does not describe this book- not at all. Yes, this is a fantasy novel written in a fictional medieval/celtic world (the time and location are never actually spelled out but that is a good thing.) However, I detected no formula, no cliches. I found myself drawn deeper and deeper into a genuinely well told tale. I identified with the characters and wanted to be part of their fellowship. 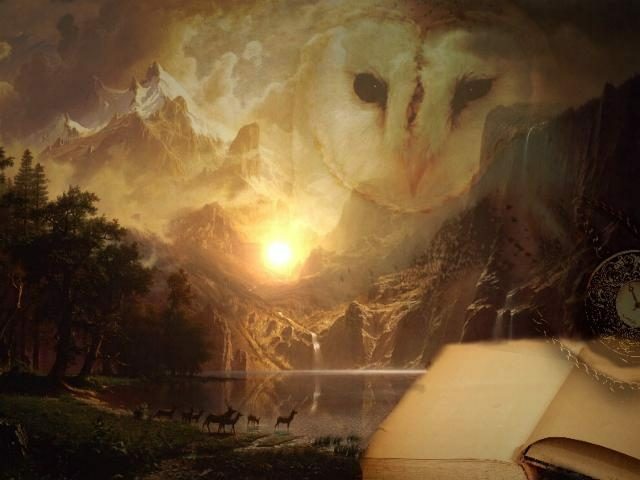 Moreover, there was a great deal of spiritual, metaphysical, and wisdom lore artfully hung on the framework of the story without it seeming out of place. I recognised the truth of it even though the terminology was different from my own. In short, this book recharged me instead of draining me, and that is the best measure of a book from my personal experience. Bound for the North through the forest of Gardeth, home of unnatural evil spirits, young Rom, a half Tzanatzi and half human boy, befriends both Yldich, an Einache Shaman, and Eald, an Einache boy. But this is no chance meeting. Little does Rom know that Yldich has had several Yaever dreams about him; dreams that will entwine their fates forever. Yildich believes that Rom can free the Einache people from a rising darkness of evil that has been brewing for five-hundred years, and yet Rom is a mere boy, without a clue to who he really is. He has so much to learn if he, and the Einache people are going to survive. Together Rom, Yldich and Eald embark on a life changing odyssey as they are thrown into a new way of life, where the veil between his world and the underworld grows thinner each day, and people depend on him. Soon Rom is to learn that this spiritual journey will gain him the courage to learn things he never thought himself capable of, but sometimes uncovering buried secrets comes at a price. Will he be able to face his fears for the final battle and overcome the weight of the world that has been put upon his shoulders? What a marvellous book. This is a coming of age, young adult tale, filled with a deep spiritual understanding, which I am positive has much to do with Wendy Gillissen’s experience as a past life therapist, and her specialisation in dream-work. The depth of Curse of the Tahiéra was so richly detailed with a structured plot, and a believable mystical setting, I found it hard to put down. It’s been a long time since I’ve read a fantasy adventure like this and Wendy Gillissen has a style of storytelling that brims with imagination. It is layered with stories, within this story. She peppers words and expressions from the Tzanatzi /Einache languages throughout, but not in a way that distracts, as some books can. For your convenience these are explained at the back of the book, along with an artistic picture. Despised due to his Tzanatzi heritage, Rom made his living as best he could by trading and selling goods in the northern and southern Einache villages alternating between them as the seasons changed. However, while preparing to travel North directly through the bordering forest, Rom learns that this journey has become increasingly treacherous as an evil presence felt once long ago appears to be rising once again. An old Einache farmer named Yldich befriends Rom offering to accompany him on his journey. Soon Rom learns, however, that Yldich is more mage than farmer having the ability to commune with nature, call upon the animals, and sense the very fabric of all that surround them. When Rom starts to experience his own dreamwalking, he begins to wonder if perhaps his meeting Yldich is something more than a simple chance encounter with a good Samaritan. In fact, Rom learns he may hold the answer to a five hundred year old curse that threatens to destroy the lives of the Einache and Tzanatzi alike. 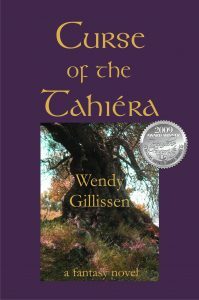 Wendy Gillissen’s Curse of the Tahiera is a unique and fresh offering to the fantasy genre. In this debut novel, Gillissen pulls from her experience as a psychologist specializing in dreamwork and past life therapy. Through Rom the reader slowly discovers the possibilities of past lives and the impact on their contemporary vessels – how decisions made long ago have far reaching implications. While fantasy elements are present, this novel is really a character exploration of a young ostracized man dealing with his negative self view so long forged through the eyes of others and their prejudices. Through Yldich and his own inner journey, he begins to view himself and his past self differently giving context to a life previously without meaning. Gillissen’s pace and plot unfold in an effortless manner keeping the pages turning at a rapid rate. Her detailed and carefully considered narrative and use of Tzanatzi and Einache languages help to envelope the reader into this unique world. The passages where she shares Rom’s emotional and physical journey through his first intimate experience and later love interest are exceptionally well written. Rom’s journey to the underworld is especially well crafted besting that offered by Phillip Pullman in The Amber Spyglass (His Dark Materials, Book 3). Curse of the Tahiéra is a complete volume although Gillissen provides a few teaser pages for the sequel The Search for Tzanáta to be published soon. I for one, look forward to its release. When Rom, a young man shunned for his Tzanatzi ancestry, crosses paths with Yldich, an Einache Shaman, the pair embark on a journey which will come to change their lives, and that of their people, forever. Dark forces are at work in Gardeth forest to the north, while in the south power-hungry nobles will stop at nothing to get what they want. Embattled on all sides, but with the loving guidance of Yldich, Rom must face his own past and that of the land to heal the wounds inflicted by centuries of persecution and hatred. A 500 year old curse threatens all in its path and Rom is the key – providing he can conquer his own demons in time for the final battle. Wendy Gillissen’s wonderful début novel is a powerful all-engrossing epic, in which love and forgiveness are essential lessons to be learned. 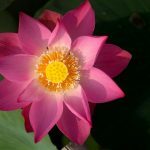 Dreams and past lives are central to the story, and I was not surprised then to learn Wendy is a past life therapist who specialises in dreamwork. This understanding of her subject matter results in a sensitively crafted and profound spiritual adventure for both the main protagonists and the reader. The rich history and cultures of the land in which the tale unfolds is entirely convincing, as are the story’s well rounded and sympathetic characters. I found the Curse of the Tahiéra very evocative of the myths and legends of the British Isles, particularly the Tuatha Dé Danann of Celtic legend. For all it’s depth, Wendy has succeeded in writing a thoroughly enjoyable tale which never once becomes heavy going or dull (the curse of many fantasy epics I have endured over the years!). Currently Wendy is completing the sequel to Curse of the Tahiéra: The Search for Tzanáta with illustrations by British artist Michèlle Ross. The Search for Tzanáta is scheduled for release in 2018. Previous articleHow do I survive my transformation process? Wendy Gillissen, M.A. is a psychologist, certified past life therapist and author of the award winning spiritual adventure ‘Curse of the Tahiéra’. She lives and works in the Netherlands. 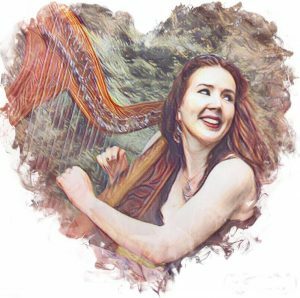 In her spare time she likes to play the Celtic harp. You can also find her on Facebook. Welcome to the practice for past life therapy by Wendy Gillissen, M.A. Hello and welcome on my site! My name is Wendy Gillissen, M.A. 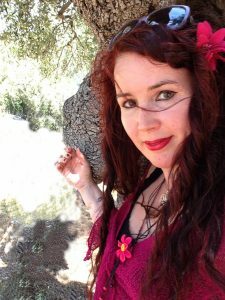 I am a psychologist and certified past life therapist (member of EARTh), award-winning author and blogger. Read more about Wendy. 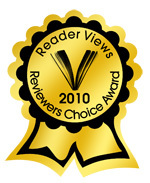 You can read excerpts from my books, reviews and articles on spirituality. You can also order my award-winning novel. Please use the contact form for questions. Enjoy your stay!